The Polyform Norway non-inflatable MR buoys are manufactured from BACELL™, Polyform's special 100% closed cell foam. The environmentally friendly EVA closed cell strucure prevents any water from entering into the material and makes these buoys totally puncture proof. 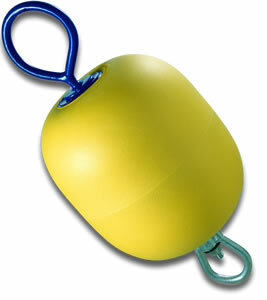 The MR series mooring buoys are fitted with a hot dipped galvanized mooring rod and swivel.